It’s October, and that means fall is in full swing! 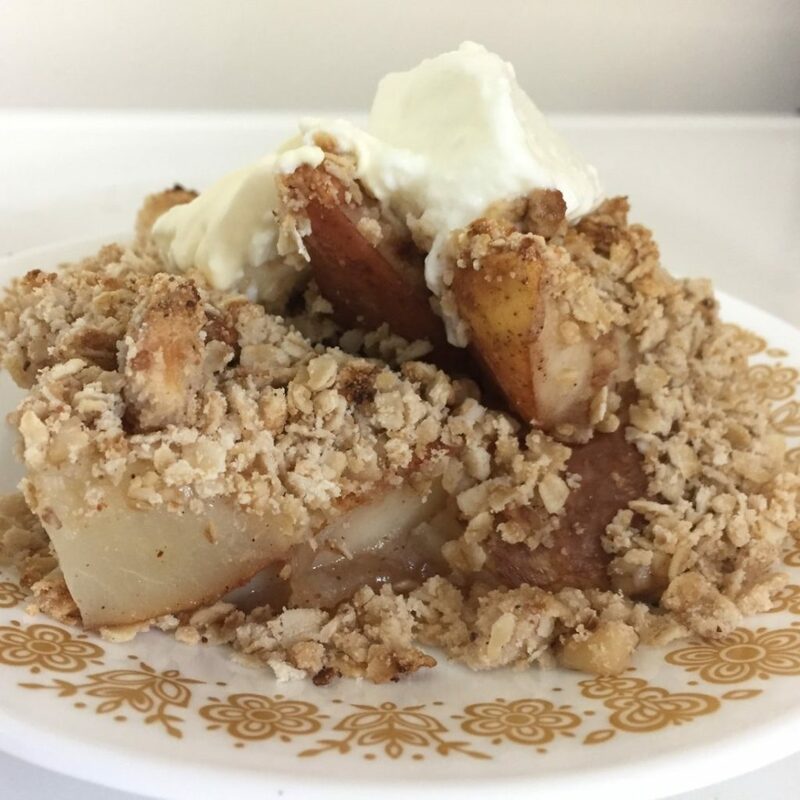 What better way to capture that feeling than this Autumn Pear Crisp recipe from our friends over at Azure Standard? Employee Alex was inspired to give this one a try when she saw Azure’s video on their Facebook page and it got her thinking about pumpkin spice and falling leaves. 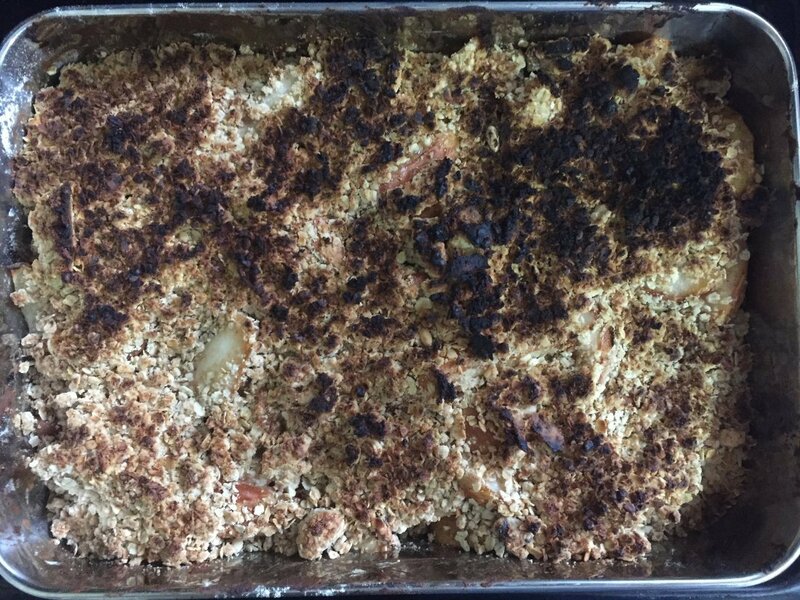 Read on for the recipe and to see how it went for her! Hello friends! Alex here with another monthly installment of Recipe of the Week. 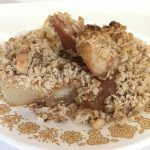 I was inspired to take on fall, and this delicious recipe, when I saw the following video posted on the Facebook page of our our friends over at Azure Standard. Fun right? There wasn’t a written recipe for this one so I got permission from Azure to write one out for you guys. I will post it at the bottom. There are a lot of ingredients for this recipe, but luckily, most of them are the type you might already have around the house. Most importantly, you will have to get 10 pears. I suggest getting some that are already soft, or buying them early and making sure they are soft by the time you make this, the texture seems to make the final product more delish. Cutting up the pears took a while because I didn’t want to mash them. I was worried my pan was too big, but I’m glad I chose this size because at the end of the recipe it was nearly full! From here, it was pretty smooth sailing. I mixed up the oat mixture (my walnuts weren’t chopped so I had to crunch them by hand in the bag). 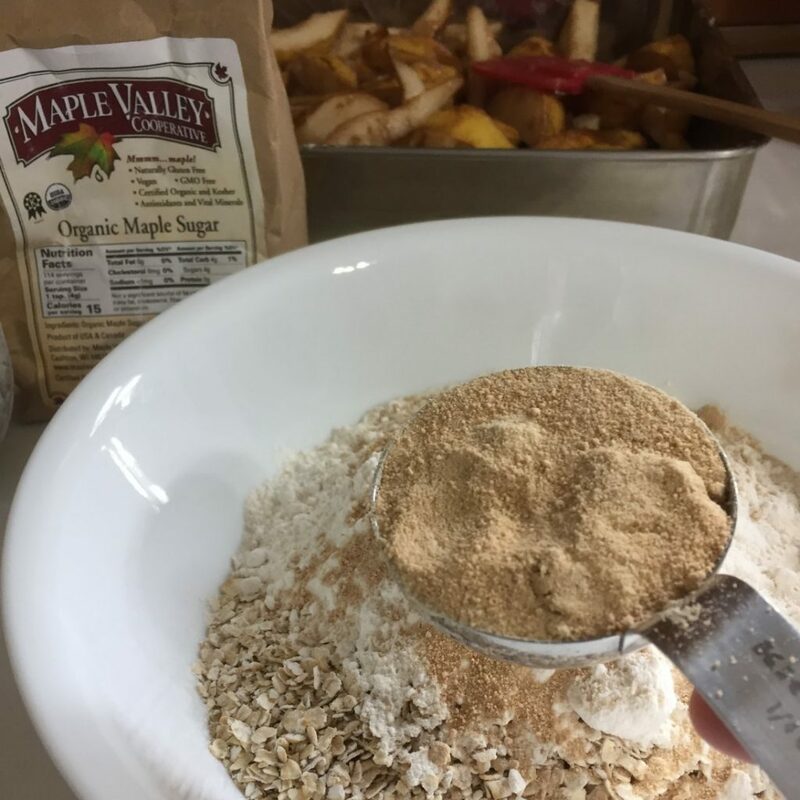 Don’t forget the maple sugar – yum! Next, I spread it on top, then it was into the preheated oven for 35 minutes. Clean up time! Thirty five minutes flew by much faster than expected! The recipe didn’t specify if I should broil on high or low, but if your oven gives you a choice, go with low. I made the wrong choice and went with high. Within two minutes my crisp was burnt and smoking. Darn. Luckily, some of it avoided the burning, so I decided that part was still edible. I didn’t have any whipped cream, so I tried adding a dollop of plain yogurt on top. This was another mistake. If you decide to go this route, add a sweetened yogurt, like vanilla. Or, just skip the topping all together. The plain yogurt was okay, but it’s sourness detracted from the well balanced sweetness of the crisp. Besides the mistakes I made along the way, this recipe was delicious! 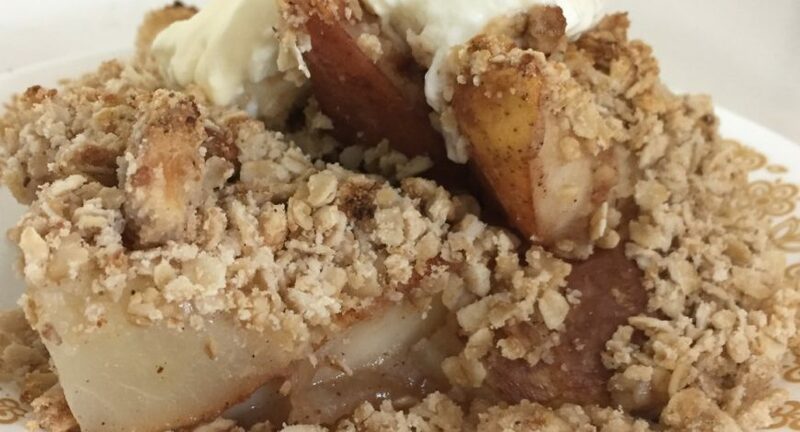 That is saying something because I’m not a huge fan of pears typically, but I would make this one again. Enjoy! Recipe below, and thank you again to Azure for sharing! If you haven’t already, check out our feature on them in our Customer Corner series! Did you try this one at home? Let us know how it went in the comments below! 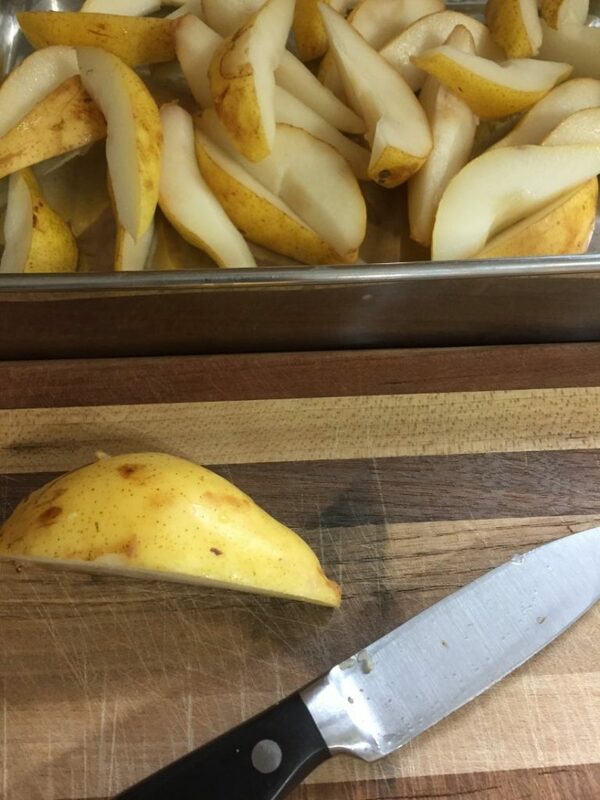 Start by putting sliced pears in an oven safe pan. Preheat oven to 350 deg. F.
In a separate bowl, mix together all ingredients for Flour Mix until uniform. 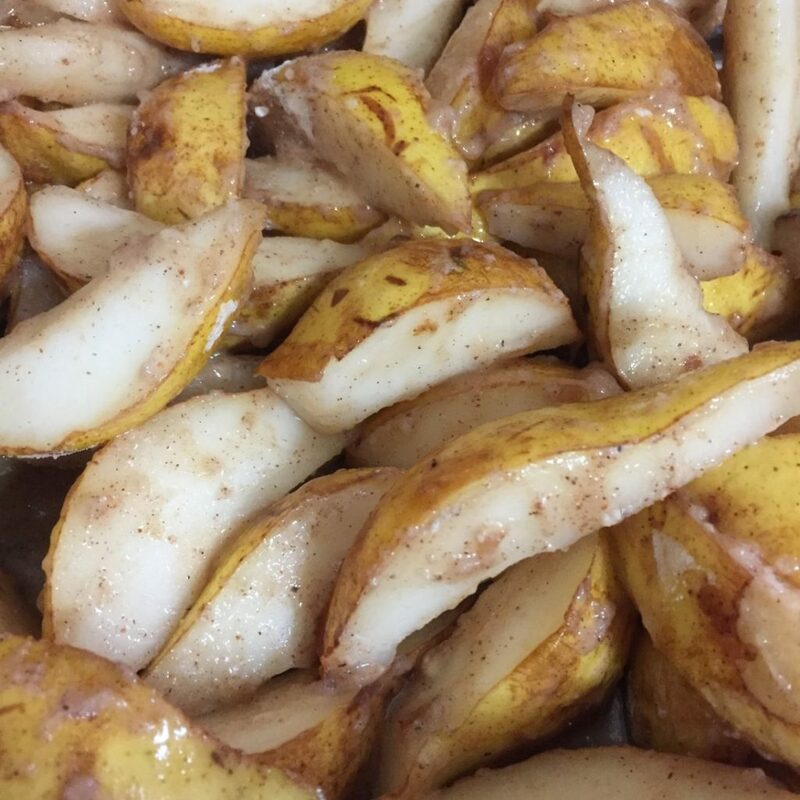 Pour maple syrup over pears in pan. Sprinkle flour mix on top. Fold together until evenly distributed. 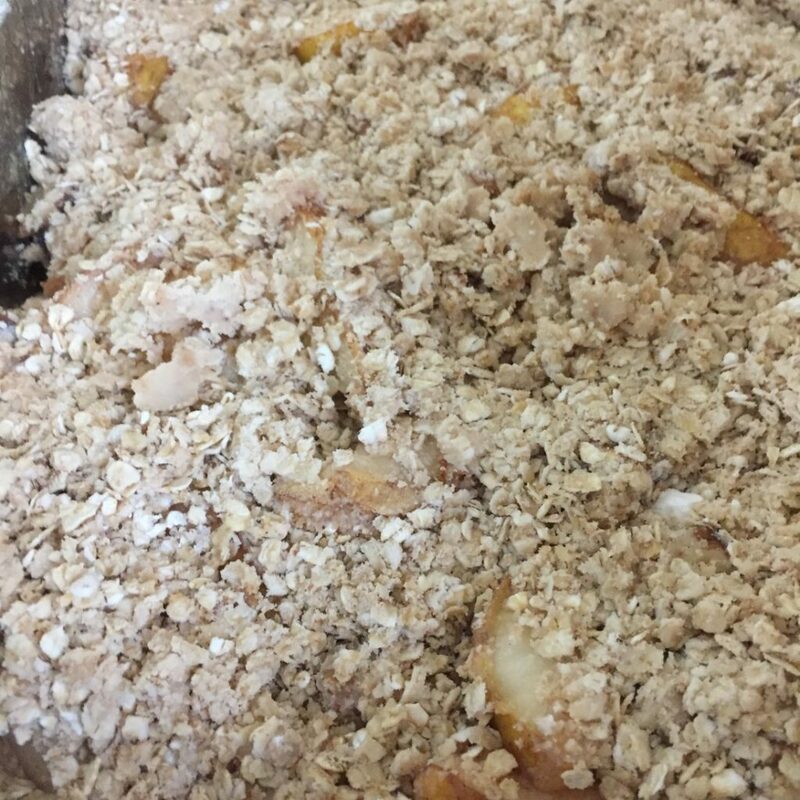 In a separate bowl, mix together all ingredients for Oat Mix until uniform. Distribute Oat Mix evenly over pears. Bake at 350 deg. for 35 minutes. Then, broil for 3 to 5 minutes until top is crispy and browned. Serve warm. Top with whipped cream if desired.